On Dec. 27, Michigan Gov. 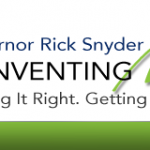 Rick Snyder (R) signed HB 5397 into law, providing new financial tools for municipal electric utilities operating in the state to help their customers install distributed generation, electric vehicle charging stations, and energy efficiency technologies—including geothermal heat pump heating and cooling systems. Vermont legislators will consider a measure to stop utilities from getting credit both for developing solar or wind projects and also for the renewable credits received from out-of-state sales. The bill, H.40, has begun its journey through the legislative process in the Vermont House of Representatives’ Natural Resources and Energy Committee.